Mailbag: Were We Wrong About Tourist Traps? The Reader Mailbag is a periodic feature of Today in Travel in which we answer questions about stories published by SmarterTravel. Want to weigh in? Leave a comment below! So what, exactly, is a tourist trap, and what makes such a place worthwhile or a waste of time? Those are the questions at the heart of the conversation we’ve been having with readers over the past few weeks in the wake of two stories about tourist traps that have generated quite a bit of buzz, both positive and negative. “What a shame to call these places tourist traps. Madame Toussaud is a tourist trap. Las Vegas is a gigantic tourist trap. But Versailles? The Colosseum? Machu Picchu? Come on!” —J.S. “I betcha I’m not the only one who wouldn’t ever use the term ‘tourist trap’ to describe the great natural and cultural wonders of the world. To me a ‘tourist trap’ is typically a hyped-up, probably man-made experience that’s more about good marketing than anything else.” —S.M. “How can you call the Grand Canyon a tourist trap?” —B.F. “I went to Versailles. I walked out. I could barely walk or move it was so crowded. Absolutely not worth it.” —L.N. “The Blue Lagoon is definitely a tourist trap and if you are from the western U.S. where amazing geothermal springs exist, this isn’t worth the high cost.” —J.L. 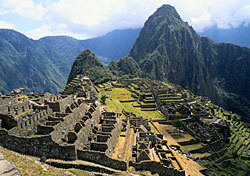 “Nobody knows when [Machu Picchu] was built. No artifacts have ever been found there, and nobody knows what it was used for—except a big tourist trap. The best part of the trip is the train ride from Cusco.” —C.A.H. It’s quite the debate, and we’re happy to see it playing out in the comments areas of our recent stories. Here’s where I personally come down on the subject:. A tourist trap doesn’t have to be man-made and it doesn’t have to be chintzy to be a waste of time and money. It does have to be crowded and present some inherent hassles. Is the Grand Canyon a tourist trap? Well, yes and no. Speaking as someone who’s visited both the North Rim and the South Rim and who’s hiked to Havasu Falls and back, I think you get out of the Grand Canyon only what you put into it. The vast majority of people who come to the South Rim spend just a few minutes posing for photos in the crowded Grand Canyon Village area. Buses bring tourists by the thousands for a short trip to the rim and the gift shop before shipping them off to the next stop. If that’s all there is to the experience—snapping a photo and buying a postcard—then yes, I believe you’ve just treated one of the world’s great wonders like a tourist trap. If, on the other hand, you actually explore the canyon and go beyond the tourist village, then the entire experience becomes richer. Or consider Iceland’s Blue Lagoon. Here’s a place that fits nearly everyone’s definition of a tourist trap: Icelandair even shuttles people by the busload just to spend a few hours soaking in the warm water during a layover. It’s not a natural wonder, it’s not particularly crowd-free, and it’s definitely not cheap. But I love it anyway—so much so that I went twice on a recent family trip with my two young kids. Nothing hits the spot better after a transatlantic flight (or after a week traveling with two preschoolers) quite like a few hours of feeling your tension melt away in the warm blue waters of this geothermal spa. Clearly, the definition of a tourist trap is subjective, and so is the notion of what’s worth the hassle and what’s not. Your opinions may vary from ours—and believe me, there was quite a healthy debate internally about what to include in these two articles as well—but the important thing to me is that we got the conversation going. Some of you heard about these tourist attractions for the first time. Many of you spoke up in defense of a favorite place that made it into one of our stories. A few of you even gave us some new destinations to add to our must-visit lists. So, thanks for the vigorous discussion—and feel free to keep it going on the two respective stories. Until we talk again, happy travels!